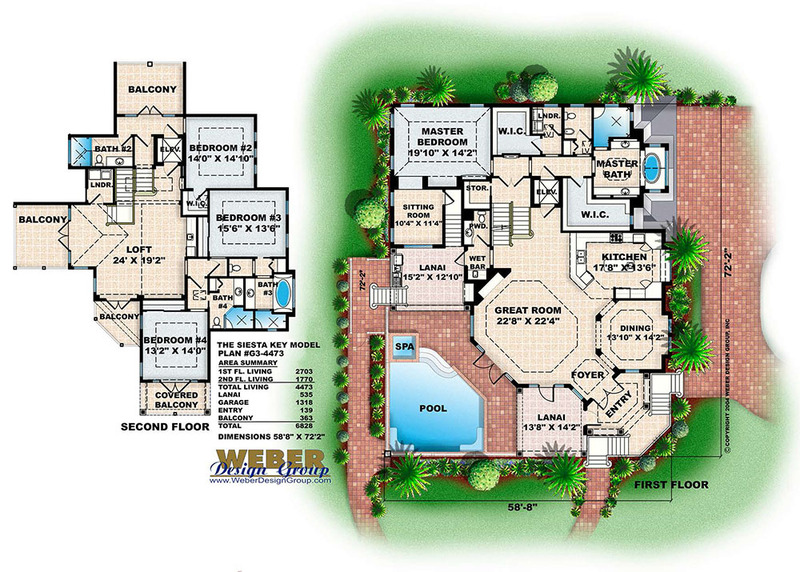 The Siesta Key house plan is a three-story Key West style coastal house plan with a three-car garage and storage on the first level. 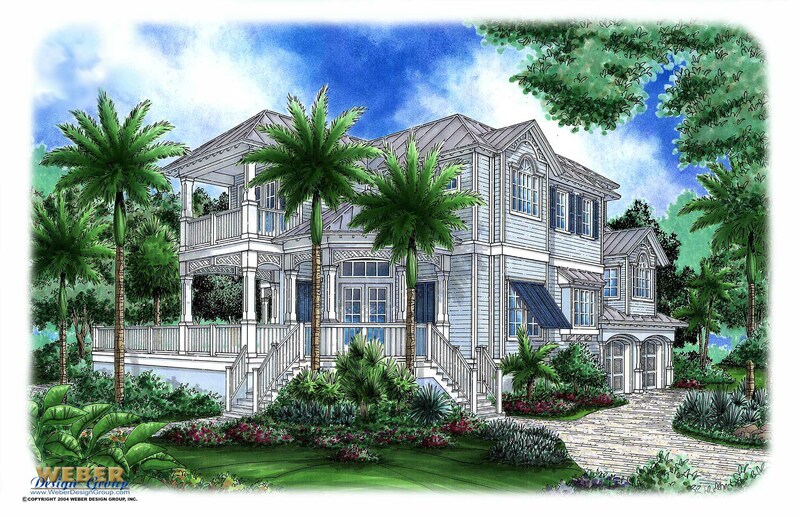 The exterior of this beach home is quintessential Key West style featuring a metal roof, sided exterior, ample windows and covered porches. The unique front entry faces diagonally and two staircases meet under a quaint covered porch that wraps around to the swimming pool area. Double doors lead inside where the foyer opens up to a large great room that is a central gathering point adjacent to the large kitchen and formal dining room. The elegant master suite features a large sitting room, two walk-in closet, laundry and posh bathroom. Upstairs are three additional bedrooms, three baths, another laundry area, loft and three covered balconies. Ceiling Height: 10' - 10' 6"
Ceiling Height: 10' - 10' 11"
Ceiling Height: 10' 11" - 11' 11"
Ceiling Height: 9' 4" - 10' 4"